In an ideal world, Australian broadband consumers would buy an internet connection the way they buy most other things – with little thought given to the state of play beyond their own personal purchase, and with the assumption that it would cost the same and work the same regardless of where they lived in the country. Of course it doesn’t work this way at all, with even neighbours experiencing wildly different prices and speeds from each other for a service that is essentially the same. The reason for this is down to who is providing the wholesale connection. Roughly speaking, this is the owner of the actual physical stuff (copper lines, fibre lines, mobile towers) that is being used to transmit the signal carrying your internet connection. Cheaper prices usually indicate that the owner of the wholesale connection is also your retailer – in other words, the company you’re buying the connection from also owns all or part of the physical pipes carrying your service. This level of competition, which indirectly affects the price of every connection, is collectively known as Infrastructure Competition. Despite their being nearly 200 Internet Service Providers (ISPs) in Australia, there are only 4 major infrastructure competitors, and as such there isn’t really that much difference between plans when you shake down the numbers. Most providers have the same costs to pay, and jiggle around the different priorities to attract different customers. But too often, companies have to eventually try to find a range of plans to attract everyone, just to stay competitive – and this can make things very confusing. Taking a top-down approach can help narrow down your options and begin comparing the real difference between providers, rather than just the superficial advertised benefits. The first wholesale layer is the owner of the actual copper line into your home, connected back to the exchange building. Telstra is, for all intents and purposes, the monopoly owner of the entire copper network. A condition of renting this line is that a phone service is provided as well. Your ISP will itemize the cost of this wholesale connection as ‘line rental’. The exceptions are Naked DSL connections, where your retail provider has bought your individual copper line, and re-purposed it to carry only a broadband service. It’s important to note that there is rarely an economic benefit to Naked DSL; the ‘line rental’ doesn’t have to be itemized because your ISP is now the owner of the line. But they’ll charge you their own line rental, in the overall cost. So instead of paying $30 for internet and $30 for line rental, you’ll just be charged $60 for internet. 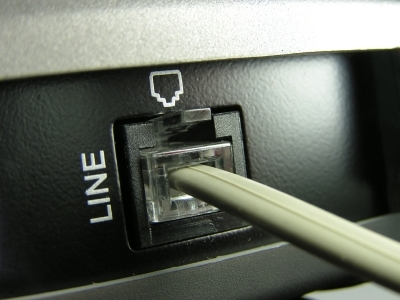 The main advantage of Naked DSL is that the lack of a phone service can help boost the speed of the connection. The second layer of a DSL connection is from the exchange building and out to the wider Australian internet. This is the last layer that affects retail pricing – most international connections don’t factor into a final retail price. There are 4 major Wholesalers at this level – Telstra, Optus, iiNet and TPG. Internode was formerly a large wholesaler in its own right, but is now part of the iiNet group. There are two smaller wholesalers, iPrimus and Eftel. Everyone else buys access off of one of these companies. What does it mean to be a wholesaler at this level? When your copper line reaches the exchange, it connects to a big mainframe called a Digital Subscriber Line Access Multiplexer – or DSLAM. 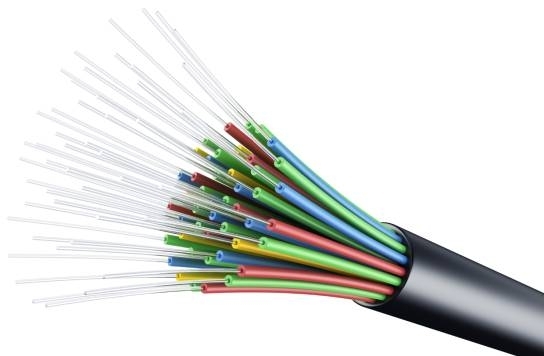 The DSLAM is connected to a fibre optic line, which runs down into the ground and travels all the way back to a head office for that state – which in turns connects to more fibre lines, linking the network together all over the country. As you can see, Telstra seems to dominate the wholesale landscape at this level as well. But the 300-420 areas covered by the other majors represent a good 70% or more of the population. These companies have ‘cherry-picked’ the exchange areas that are densely populated, to guarantee a good return on investment. Telstra Wholesale didn’t have to cherry pick, as the government subsidized them to build DSLAMs to service even unprofitable rural areas under the Australian Broadband Guarantee. Most providers wholesale off of Telstra and Optus at this level, so prices are fairly consistent. A handful of providers will work out wholesale access agreements with Agile, PIPE and Chime, but mostly they’re there to support their own retail brands. Telstra Wholesale – everyone can and does access this, because the network is pretty much universal. For large providers who access this network only when their own is unavailable, they refer to plans using the Telstra Wholesale network as Off-Net, Reach, Zone 3, Regional or Rural plans. Again, this will chop and change a bit depending on what services you get with it, but for basic line rental and internet, this is the typical range. Competitive providers will distinguish themselves by offering more data, or short contracts. Optus Wholesale - Optus already owns quite a few copper lines itself that it bought off Telstra under an old regime. As such, Optus Wholesale is actually the largest provider of Naked DSL connections, through Optusnet and through other providers. Optus Wholesale has a good reputation for fairness – its wholesale product is actually significantly cheaper than the Optusnet retail service, unlike Telstra who charge almost the same for wholesale and retail customers. Providers using the Optus Wholesale network are generally cheaper than going with Optus directly. PIPE Networks - A small handful of customers use the PIPE Wholesale network (including Beagle Internet) but mostly it’s used for TPG. Agile/Chime Communications - Agile and Chime have indicated that they want to expand their wholesale business, and it’s thought that some adventurous providers like Dodo will buy access off them when available. But for the most part, they provide the wholesale backbone for ISPs in the iiNet Group of companies: iiNet, internode, Westnet, AAPT, Netspace and TransACT. The iiNet Group are overall more expensive than other options, but also aim to offer better service, better products (in terms of content, modems and handsets) with more customer service based in Australia. iiNet group companies consistently rank as the top providers for customer satisfaction, with Internode ranking at 94% according to most recent Roy Morgan poll. iiNet Group companies also have a reputation for trying the newest and most innovative techniques for providing value to customers, and were the first to offer Naked Broadband. They regularly challenge Telstra’s monopoly to regulators and engage readily with their customers on social media sites. There are only two Cable networks, Optus and Telstra. They pass by about 3 million homes collectively. They are not being expanded, or wholesaled, in the foresseable future. Both networks are set to be sold to the National Broadband Network (NBN). 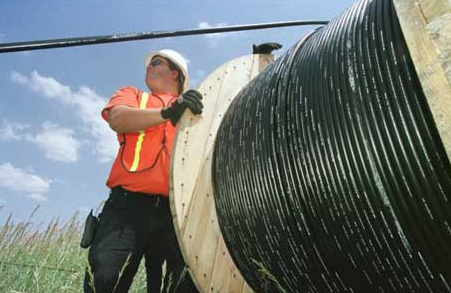 The next stage of fixed-line wholesaling is moving towards the Government’s National Broadband Network (NBN), which will provide a full fibre connection to 93% of Australian homes, replacing all of the aforementioned networks. So there will be no more competition in this arena. The upside to this is that just about every home will get the same speeds and access to the same prices. Right now, speed is mostly determined on the distance from your home to the telephone exchange, and price is dependent on the presence of Optus, iiNet or TPG in the area, providing cheaper wholesale prices. In most rural areas, customers have to pay Telstra prices, regardless of which provider they go with. Telstra Velocity – Provides Fibre-To-The-Home in about 125 new estates and in the South Brisbane area. Mobile broadband is a quite a bit simpler than the fixed-line world. There are only 3 networks in Australia: Telstra, Optus and Vodafone. Companies that wholesale off of these companies are known as Mobile Virtual Network Operators (MVNOs). The mobile phone and mobile broadband markets are almost one and the same. Most MVNOs use the Optus Open Network, which is only slightly slower than the Optus Direct Network, used by Optusnet and Optus Mobile. Optus Open Network plans are almost always vastly cheaper than Optus Direct. A handful of major providers use the Vodafone network (including Crazy Johns). Telstra does not wholesale its 4G data network to anyone, but has opened up their 3G network for wholesale. To date, only JB Hi-Fi has signed on as a retailer, with prices that are identical to Telstra Mobile and BigPond. What if I live in a monopoly area? About 1700 of 2100 exchanges are only served by Telstra Wholesale. These are mostly rural and regional exchanges. Customers in this area generally pay a higher price. Many customers have thought they were connected to an exchange that hosted a DSLAM belonging to a low-cost wholesaler, only to be told they’re on a Pair Gain System, and can’t be connected. This happens mostly in quickly growing areas that were formerly sparsely populated, or where new estates are being built. In these areas, Telstra opted not to run a full length copper wire from the new house to the exchange, where a customer line can link up to one of these competitors. Instead, the line has been run to a streetside cabinet that is linked back to the exchange with a fibre optic lead. 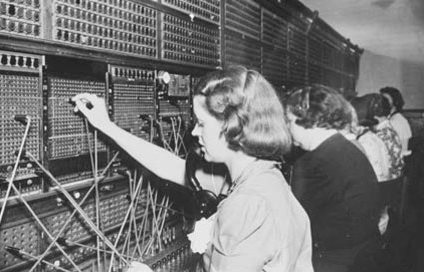 By doing this, Telstra has gained new ‘pairs’ (telephone lines) without laying full connections. These streetside cabinets are called RIM (Remote Integrated Multiplexer) or CMUX (Customer Multiplexer). The problem with Pair Gains is that there is no physical link between you and the wholesaler of your choice. Telstra has essentially built a micro-exchange to service your area, and they’re the only wholesaler of services. Once again, you’re stuck with Telstra Wholesale pricing, but a smaller number of retailers to choose from. Most retailers will lease a full port in an exchange building, but few will lease a port from a RIM or CMUX. How can I tell what’s available? You can call Compare Broadband on 1300 106 571 for a preliminary check to see which providers are available in your area. If you’ve called around to a couple of providers and keep getting told a connection would cost you about $90, you’re probably in a Telstra Monopoly area. If you’ve tried Optus and they’re not available, then most cheap plans that are heavily advertised will also not be available. If you’ve put in an application and it has come back as failed due to “Pair Gain” or “Incomplete Copper Infrastructure”, then you’re probably going to find yourself restricted to Telstra Wholesale pricing, and a small handful of providers who will resell this type of connection. BigPond, Club Telco and iPrimus are some options. If you live in a metropolitan (capital city) or large regional (places like Ballarat, Bendigo, Newcastle, Geelong, Gold Coast, etc) area then your cheapest options are usually TPG or an Optus Wholesaler like Dodo. If you’ve been told you’re too far from an exchange, even by Telstra, then chances are you will have to get Mobile Broadband. Click here for our recommended mobile broadband plans.